May was Bike to Work Month at Artefact, and together we pedaled nearly 500 miles commuting to and from the office. Bike to Work Month is always exciting because so many people at Artefact are passionate about cycling: Sheryl brought her beloved Dutch bike when she moved from Amsterdam, and Holger even builds his own bikes. In May, I took a trip to Amsterdam and Copenhagen to experience the cycling culture and infrastructure in both cities firsthand (as well as eat a million stroopwafels, mission accomplished). Somehow during all of my time in Amsterdam and Copenhagen, I did not get a single photo of me actually riding a bicycle. I did, however, get this photo hugging a cat in a bicycle rental shop. (His name was Chris, he was wonderful.) Just take my word for it, I rode a bike a lot. Our passion for bikes goes beyond the personal. For cities looking to solve community issues with smart solutions, it’s hard to imagine a single product that comes as close to being a silver bullet for smart cities than bicycles. 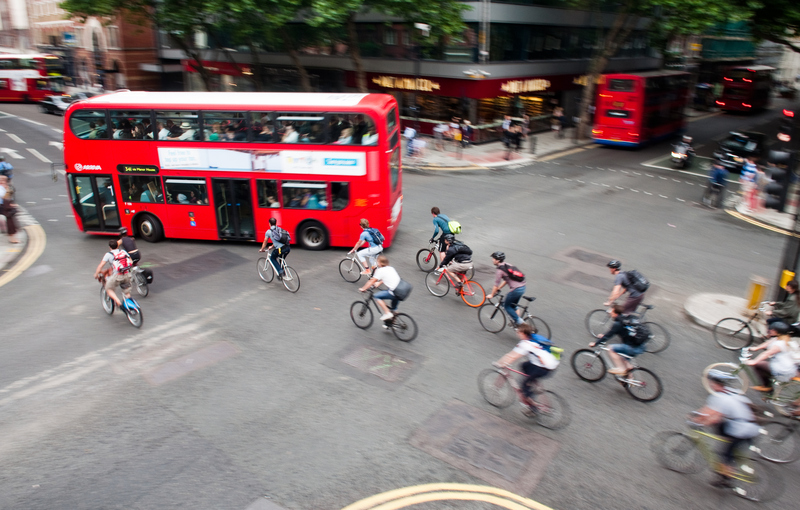 The benefits are clear: investments in cycling reduce car congestion and improve public health, thanks to the increase in exercise and decrease in air pollution and automobile accidents. Cycle-centric cities are not only safer, but they make cities more accessible for people from all economic levels and connect communities rather than divide with highways. We know that choosing to prioritize cyclists the way we prioritize cars and pedestrians can fundamentally shape a city for the better. In the 1960s, Copenhagen made proactive choices to design roadways and communities to encourage safe cycling, and today the city reaps the rewards of putting cyclists first. Fifty percent of all Copenhagen residents commute by bicycle, and the city has been deemed the World’s Most Bike-Friendly City and the World’s Most Livable City— and the connection between the two is no coincidence. 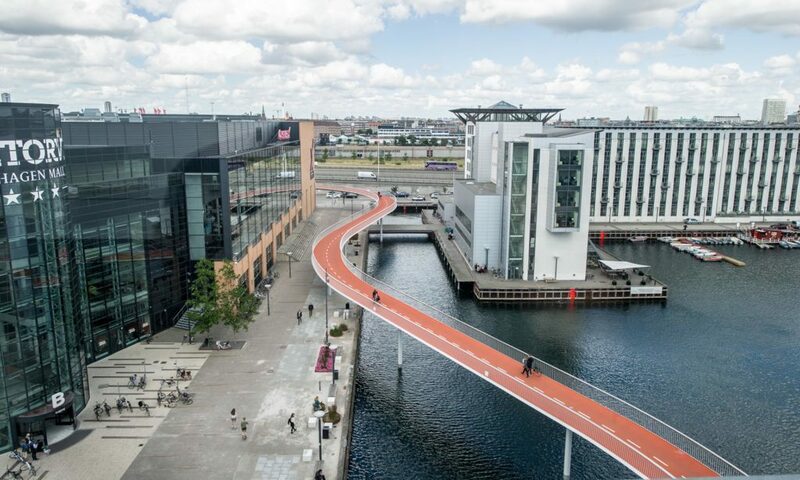 A famous example of cycling infrastructure, the Cykelslangen (“Bike Snake”) Bridge in Copenhagen. Photo credit: Danish Architecture Center. Becoming a world class cycling city like Copenhagen requires extensive urban planning and investment in significant cycling infrastructure. But as many cities look to smart solutions to improve their communities, there are achievable and incremental actions cities can take today to build a cycling culture that will support a smart city ecosystem. 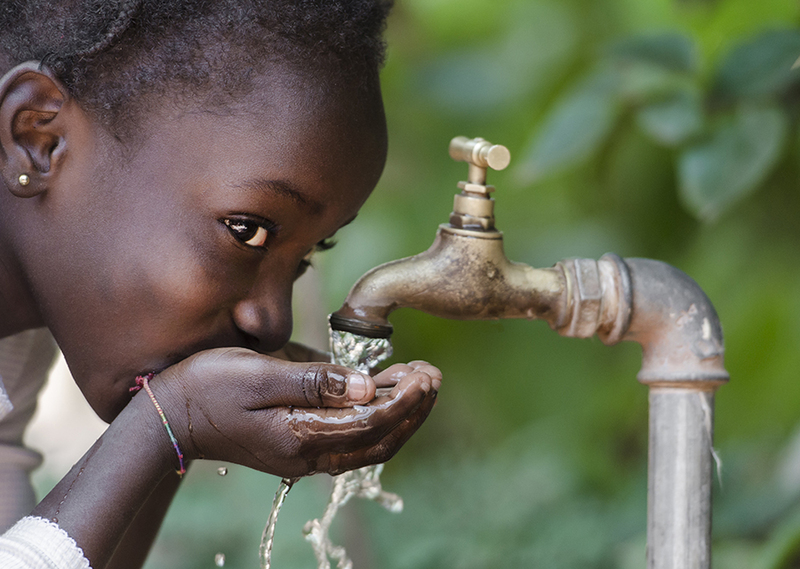 At Artefact, we often deploy “behavioral nudges” in our design work— subtle suggestions that direct people toward taking positive or preferred actions. Building a network of bike lanes takes time, but cities can apply behavioral economics to their existing infrastructure today in order to nudge citizens towards cycling. Cities all over the world are implementing low-tech, low-investment behavioral nudges to increase ridership. Many start with creating space for cyclists in small ways, such as adding secure bike parking at key destinations like grocery stores and ensuring that buses, trains and other transit options have designated space for cyclists to stash their bikes. In Copenhagen, I experienced another behavioral nudge: the bike footrest. The city installed simple, inexpensive railings at intersections so that cyclists have a place to lean while waiting for the light to change. Taken together, all of these are smart behavioral nudges and minor adjustments that encourage more riders and good cycling behaviors. Behavioral nudges can also be baked into bike share programs to increase their success rates. The city of Hangzhou, China made the first hour of bike share rental free to attract users. On my trip, I preferred using a specific bike share because it used Bluetooth-enabled locks that made grabbing a bike as simple as clicking a button on my phone. 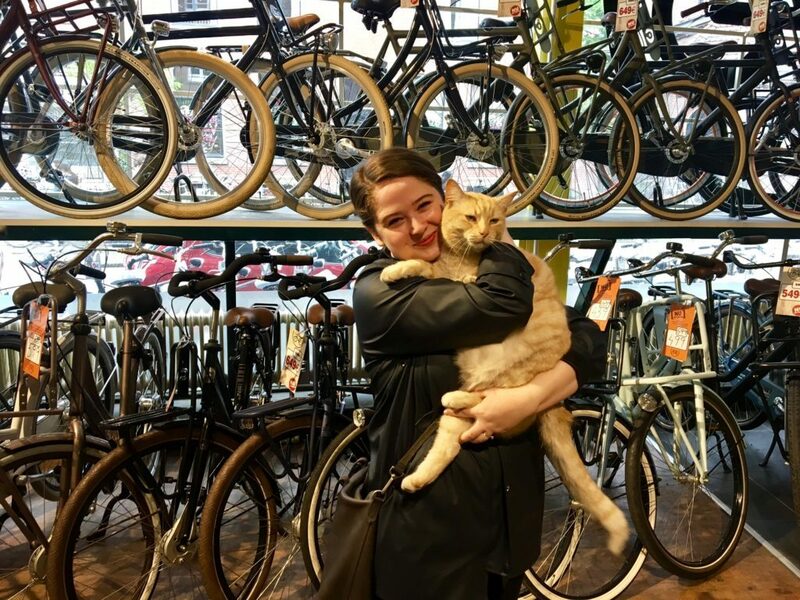 Also, as we have learned from my photo, incorporating a cat named Chris into your bike rental shop is an an excellent behavioral nudge for encouraging me, specifically, to ride a bike in your city. For any city, moving toward a more cycle-friendly future requires extensive community support and coalition building. We can use the concept of behavioral nudges not just to attract cyclists, but bring businesses and stakeholders along for the ride as well. The story of the Hackney parklet is an excellent example of incentivizing the support of cycling for the broader community. 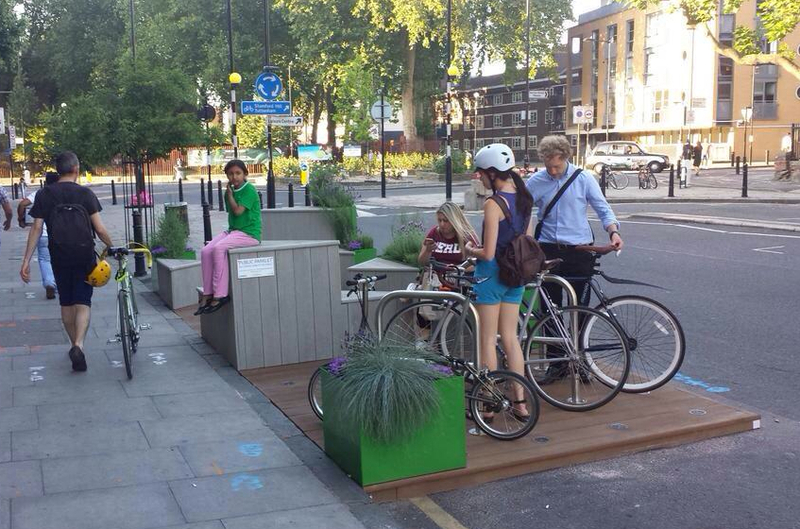 The London Borough of Hackney commissioned the creation of small, movable mini-park that created a temporary sanctuary for cyclists and could be moved to outside different businesses. With protected seating and parking for bikes, the parklet was an attraction that helped bring more in more sales for participating businesses, rewarding them for promoting cycling. For cities with a growing cycling culture, an unfortunate friction can crop up between car commuters and cycling commuters. With behavioral economics, we can make cycling a part of city commuting and encourage the car-and-transit populations to incorporate cycling into their routine. The city of York, England made small upgrades to existing infrastructure to increase cycling among commuters. With the “Park and Pedal” program, York created space at their existing park-and-ride facilities for bicycles, which shortened long bike commutes, allowed people to securely store their bikes overnight, and promoted biking within the city center. The Hackney parklet, a quick-build installation that attracts business by creating space for pedestrians and cyclists. Photo credit Get Britain Cycling. We’ve talked about using behavioral nudges to encourage cycling, but there’s another way cities can experiment with bike infrastructure using a design method: rapid prototyping. Several cities, including Seattle, have had tremendous success with quick-build, rapidly iterated tweaks to existing streets to determine what works best for cyclists in their cities. The organization People for Bikes lays out how cities have used community input to prototype spaces for cyclists with simple paint jobs and temporary objects, then used the experimental spaces to inform more permanent cycling investments. 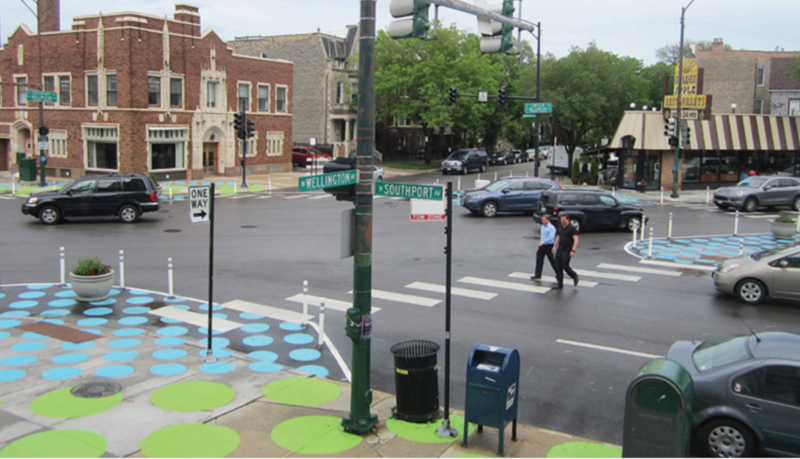 An example of an intersection in Chicago where cycling advocates reclaimed underutilized infrastructure to quickly experiment with bike-friendly design. Photo credit: People for Bikes. The benefits of bicycles pay even more dividends for smart cities in the era of connected devices and data-based decision making. Future devices for bikes and cyclists include smart lights that prevent possible accidents, pedal-powered filters that clean air pollution, and cycle-based sensors that report traffic conditions. At Artefact, we developed a prototype called BrakePack, a smart backpack for the urban cyclist that helps reduce traffic incidents. 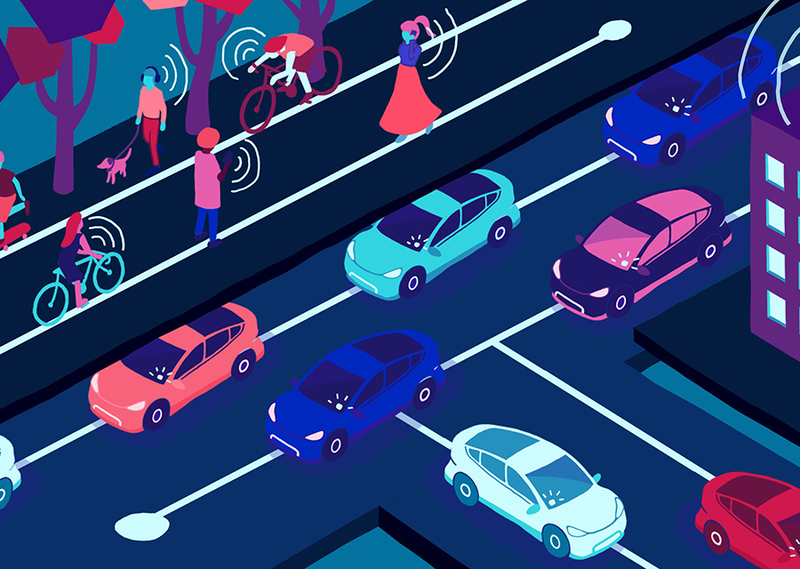 There’s an entire new subsection of technology taking off that cities can dial into in order to improve quality of life for cyclists, drivers, and pedestrians. As cycling continues to increase in popularity, cities should plan to include cycling technology as part of their strategy to become more smart and connected. By analyzing information gathered by cyclists and bike technology the way we do cars, cities can make more informed urban planning decisions, design effective infrastructure, and prioritize needed upgrades. In the age of IoT and artificial intelligence, the simple bicycle may be one of the most powerful and transformative tools for any smart city.